Build self-awareness! 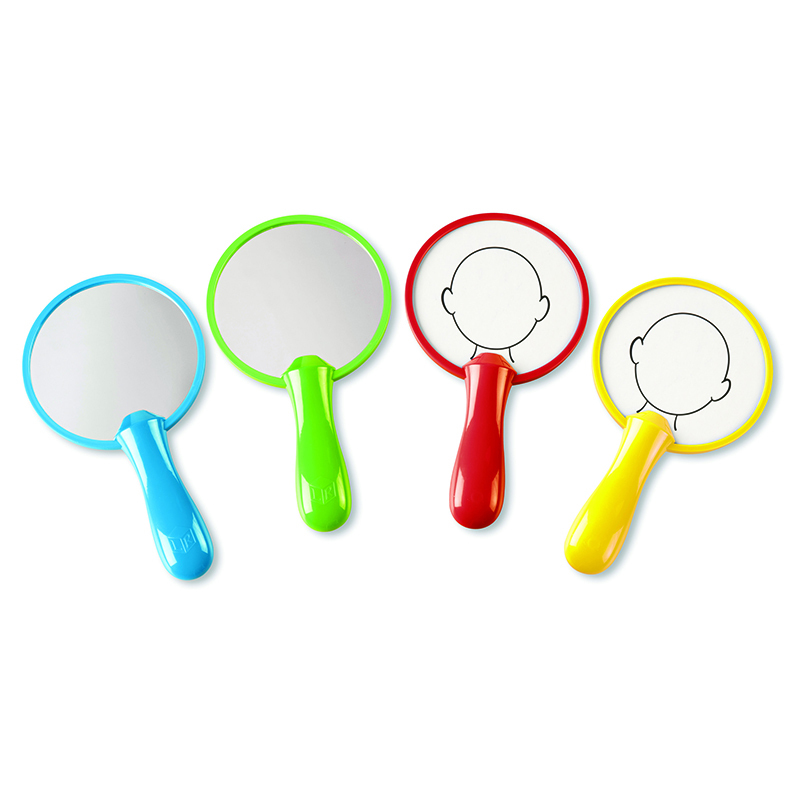 Handheld boards feature the outline of a face on the write & wipe side and a mirror on the reverse. Children look at their reflections and then draw matching facial features on the outlined face. Great for About Me themed lessons.